It’s been the most anticipated launch of 2018, and just mere weeks before we roll into the new year, Burleigh Pavilion is finally open for business. The Coast’s first ever beach club was always going to be an absolute game changer for locals and visitors alike but one step inside, we can confirm it lives up to the hype. 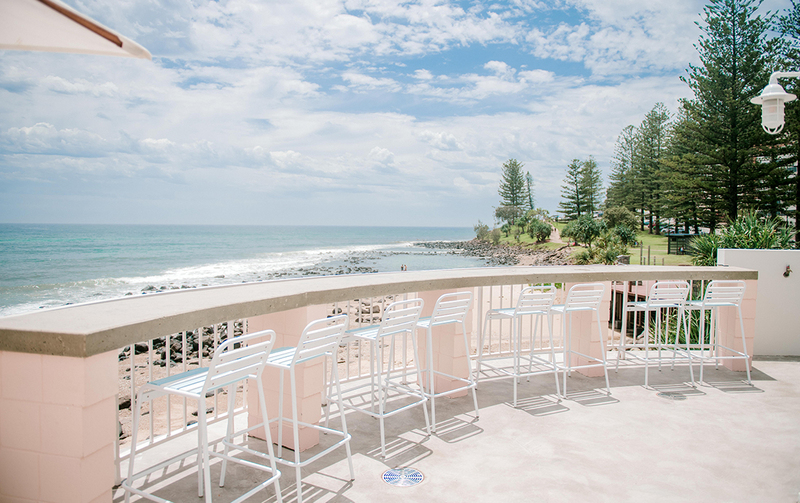 Boasting sweeping views of Burleigh beach down to the Surfers Paradise coastline and with enough room for 600 people, beachside cocktails just got a whole lot better. 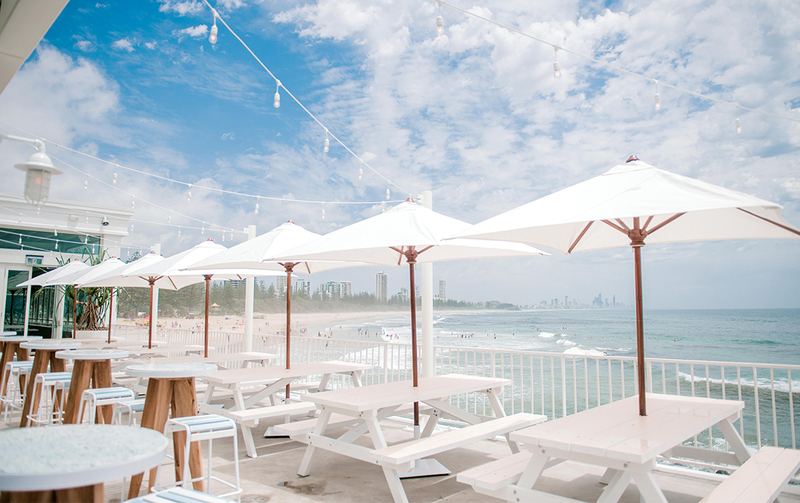 The $10 million construction is absolutely breathtaking channelling Florida vibes whilst paying tribute to its local surroundings—they’ve even installing showers and surfboard racks so you can literally go from beach to bar. Design wise, it’s an Instagram dream. Think terrazzo tables, fairy lights, exposed timber rafters, four metre ceiling heights, splashes of pastel pink and lots of crisp white. The Pavilion is made up of two areas. At the northern end sits restaurant, The Tropic (which seats 240 people) and at the other end is The Terrace, both sides will have food offerings from head chef Guillaume Zika, who nabbed two hats while running restaurant Cottage Point Inn in NSW. The Tropic’s menu has a strong focus on locally sourced ingredients. Highlights include the seafood platter, grilled tiger prawns with dry vermouth butter and rib eye on the bone rolled in black pepper, thyme and rosemary. Be sure to save room for a dessert of roast yellow peach, coconut sorbet, gin and pistachio. 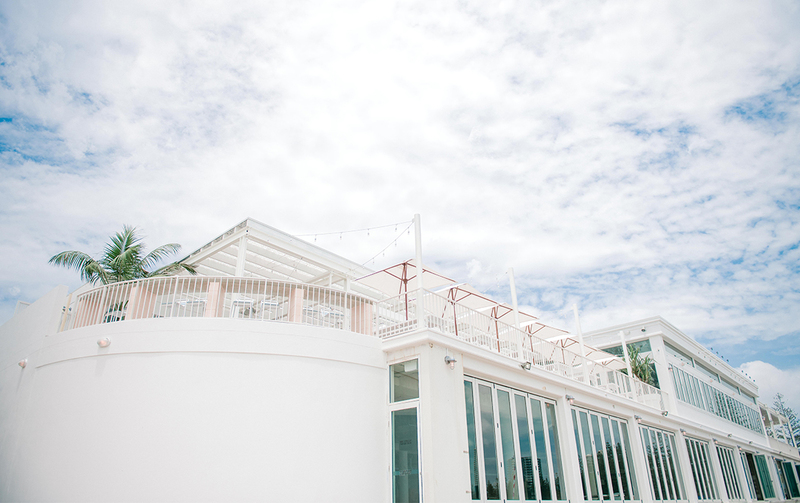 If you’re after a more casual affair head to The Terrace where you can roll up straight from the beach. The 400-capacity bar area offers a bunch of tasty eats including classics like beer battered fish and chips, nachos, grilled chicken burgers and pizzas. This is a place for all ages too, so the little ones are covered with a great kids menu. And because we know you love a tipple, you’ll be pleased to know there’s a 90-strong wise list (with organic and international options) and 14 beers on tap (Balter, Stone and Wood and Burleigh Brewing). Cocktail-wise expect tasty sips like the Rosy Gin Kombucha made with gin, Campari, lemon juice, fresh ginger with lemon and ginger kombucha. And we love how they’re paying homage to the local scene with cocktails like the Burleigh Barrel (Bacardi Fuego spiced rum, Licor 43, strawberry, lime and vanilla sugar) and The Point (Spiced rum, Malibu, pineapple, ginger syrup and lime). Hooked? We thought so. 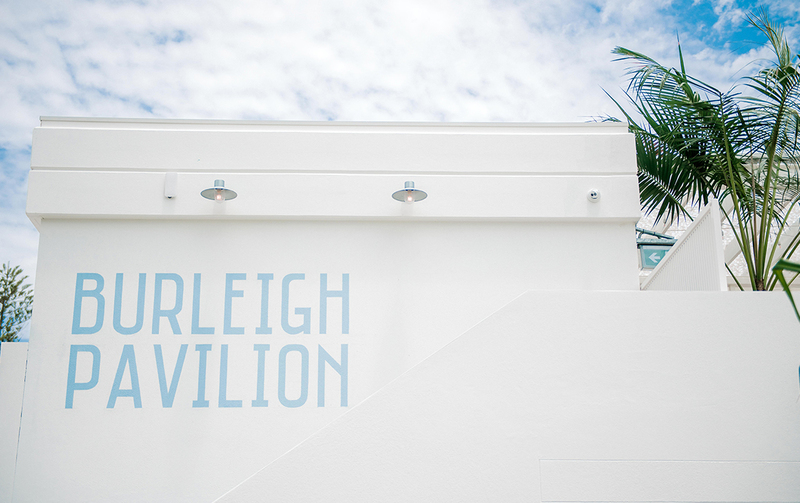 Burleigh Pavilion is absolute proof that good things come to those who wait.